Introduce someone you know to the joys of wine tasting with this collection of wine tasting essentials. 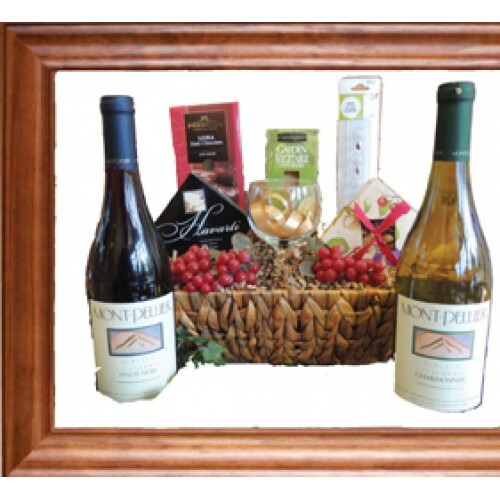 A striking table top basket offers bottles of Californias Mont Pellier Chardonnay and Pinot Noir wines. Presented, in addition to the wine are a pair of wine glasses, six wine charms, boxed cheese, crackers, select nuts and imported chocolate. This special gift will take the pleasure of wine tasting into any home.